The Halal Dining Club is determined to be much more than just another directory app for halal diners. The real opportunity they are pursuing is to be a single destination platform for halal diners through their whole dining journey from discovering halal restaurants locally and internationally, to booking a table and to collecting loyalty rewards. 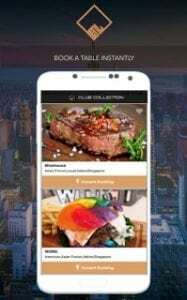 For restaurants, the platform provided by Halal Dining Club uniquely offers the ability to not only attract new customers, but to engage those customers and convert them into repeat customers using the powerful digital marketing tools inbuilt into the platform. Commenting on the growth prospects for the sector, founder Siddika Jaffer revealed that lots more restaurant operators are beginning to respond to the need of the fast growing halal dining demographic by looking at the possibility of offering a halal option on their menus in much the same way as they responded to the demand for Gluten Free choices, vegan and vegetarian options. The opportunity for the Halal Dining Club lies in being able to provide access to these diners through their unique platform. Restaurants are able to access useful insights on their diners through the platform and make their marketing efforts more effective and cost efficient. The startup successfully raised funding on Crowdcube, the largest equity crowdfunding platform, in August 2016 and was one of the fastest funded startups on the platform last year as well as being the first halal tech platform. Since then, the majority of the funding has been used to build a unique platform that is the equivalent of combining TripAdvisor, OpenTable and a loyalty program in one. The startup has also grown its presence throughout the UK and Singapore a is now present in 8 cities internationally with plans to expand further following another round of funding. 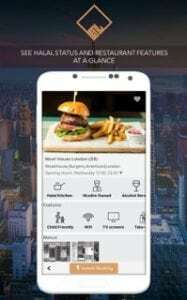 The team at The Halal Dining Club recently released an Android App responding to pent up demand following the launch of their website and iPhone apps earlier this year. 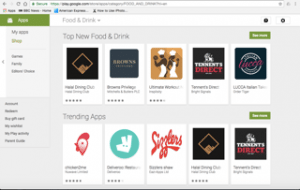 The Android app is currently ranked as the Top New Food & Drink App on the Google Playstore and has been a top trending app this week (w/c 5th June 2017).